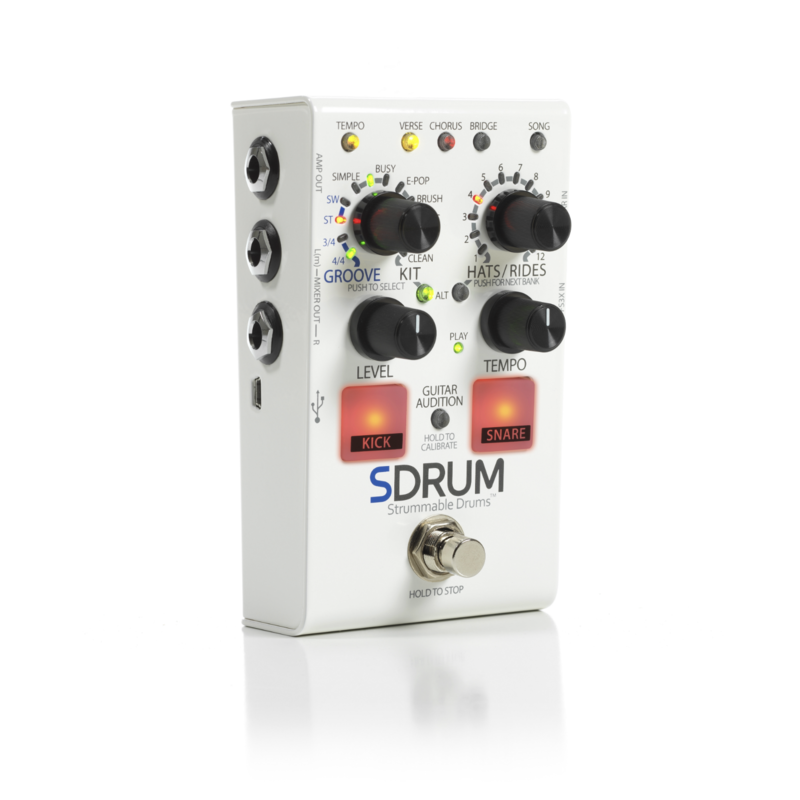 SDRUM is the world’s first intelligent drum machine for guitarists and bassists. By simply scratching across your guitar strings, you teach the SDRUM a kick and snare pattern that forms the foundation of the beat you want to hear. 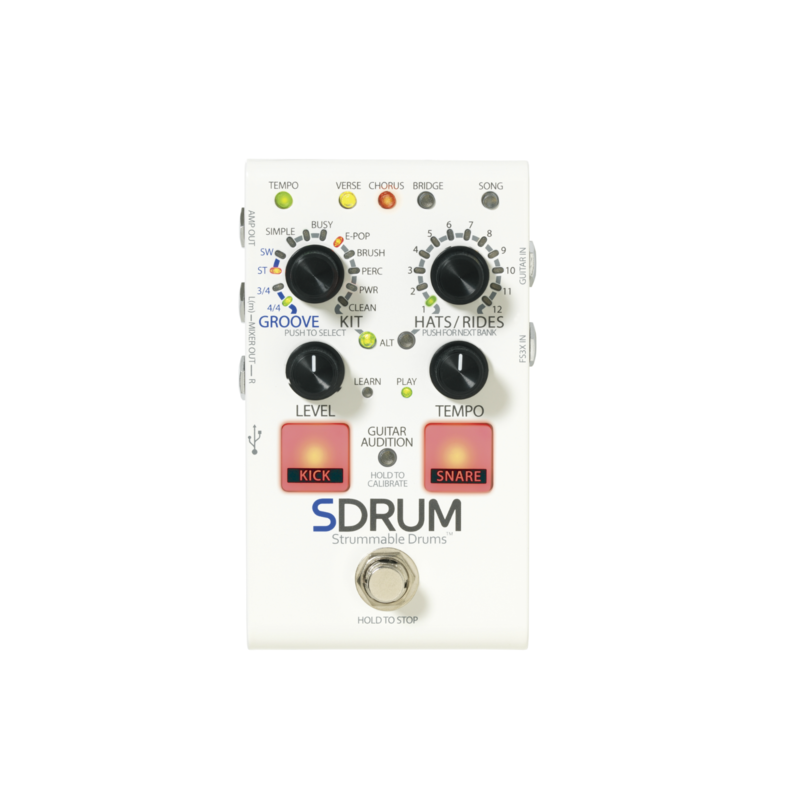 Based on this pattern, the SDRUM supplies a professional sounding drum beat with different embellishments and variations to perfectly complement your beat. Gone are the days of having your creative flow disrupted by searching through lists in a frustrating attempt to find the beat you want. The SDRUM stores up to 36 different songs. Beats are played from a choice of 5 different kits covering a wide range of genres. The pedal also supports three different parts (e.g. verse/chorus/bridge) for each song that can be switched on the fly for enhancing live performances and exploring song ideas. 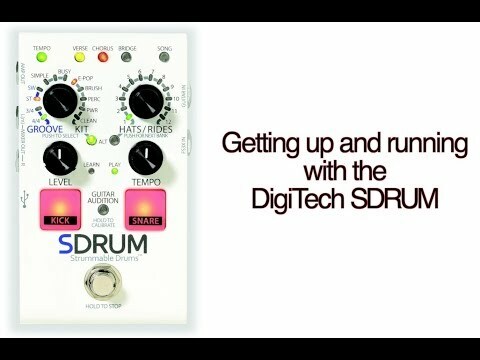 SDRUM is the fastest way to go from a beat idea to a working drum track. Back Order. Expected ship date 04/24/2019.